Make a real design statement with MADE.COM's latest outdoor range. 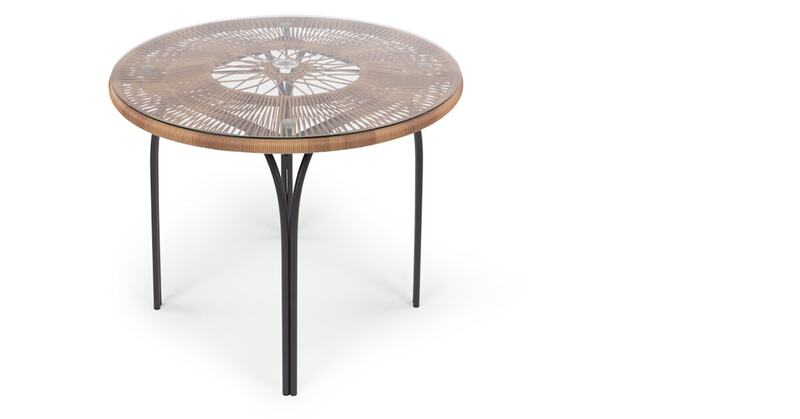 This dining table will ensure that your garden is as beautiful as the rest of your home. Love the retro look? The Lyra range is the ideal addition to an old fashioned and relaxed style. Add this table to a patio for a charming look. Need space for one more? This table will comfortably seat four people. There's also a hole for a parasol if you need a little shade.